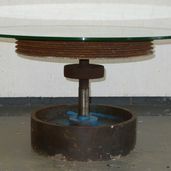 Heavy coffee table 18 ½” (47cm) tall photographed with an oak top 31 ½” (81cm) diameter. 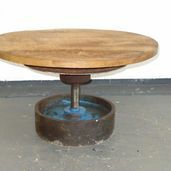 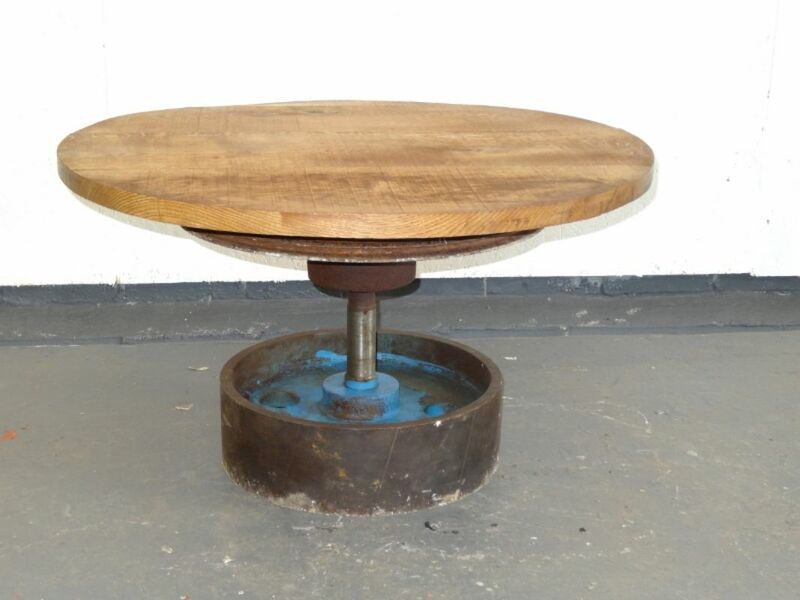 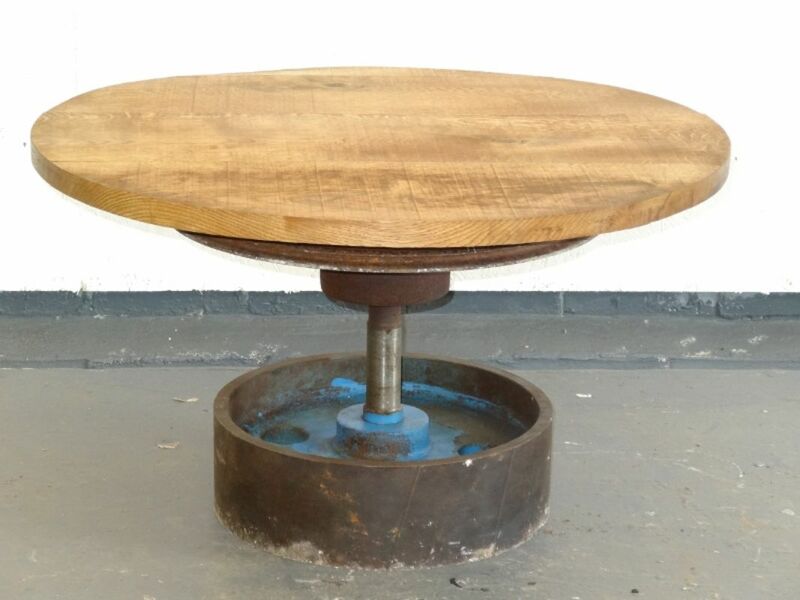 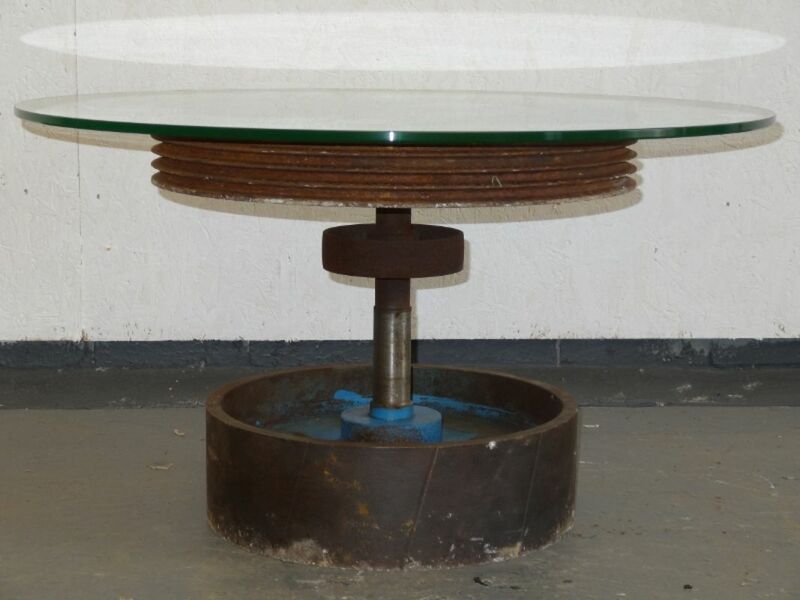 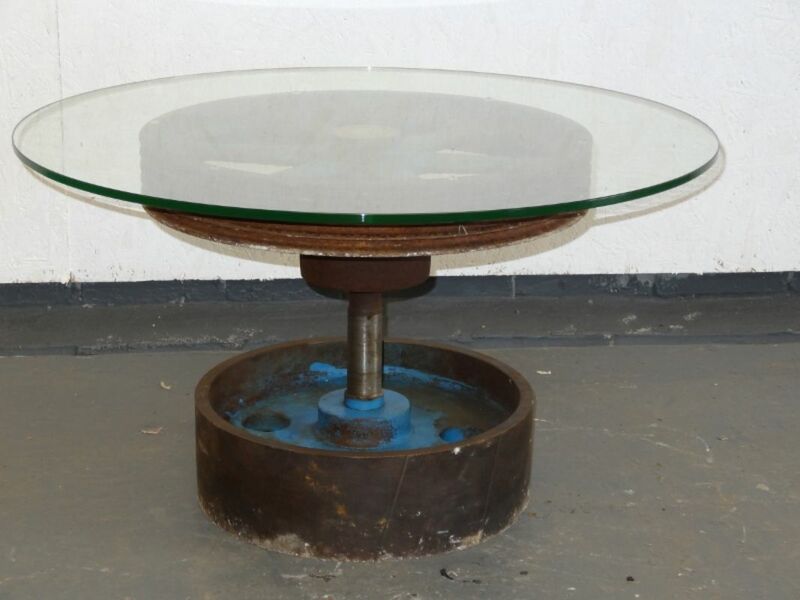 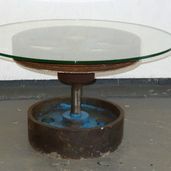 Coffee table base made with heavy iron wheels 16” (41cm) diameter by 5“ (13cm) tall wheel on its original axle leading through a small wheel leading onto a large 20” (51cm) diameter belt drive wheel which supports the top. 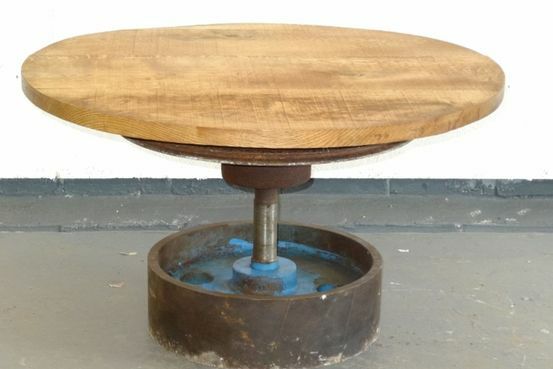 The oak top is 31 ½“ (81cm) diameter, we could make a different size top, or we could make a top from a different material to suit you.